Inspired by Sister Dorothy Stang SND, Bees & Thank You co-founder Ryan Margulis hopes to make a lasting impression on humanity and the environment through fine tuned strategies and unique outreach programs. Ryan is a marketing and sales representative for Emulsion Printhouse in Boston, where he oversees projects that aim to connect talented artists with passionate musicians. He also works merchandising and security part time at the House of Blues in Boston. 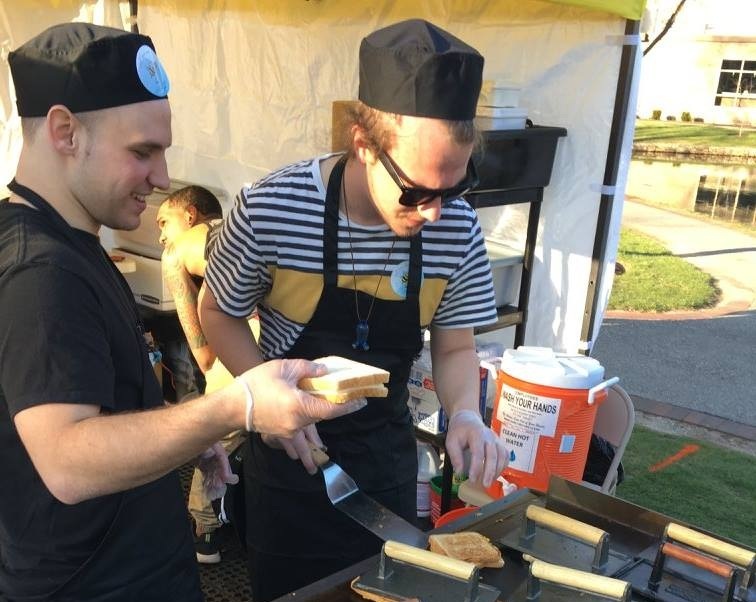 Prior to joining these ventures, Ryan worked for Bon Appetit management company where he performed numerous rolls within the organization, and hosted various grilled cheese nights. Ryan grew up in Lowell, Massachusetts and moved to Boston in 2011. He attended Central Catholic High school in Lawrence and graduated from Emmanuel College with a B.A in Management and a Minor in Communications. Ryan has been fortunate to have a multitude of mentors in life who have invoked a passion in him for social and environmental justice. On his down time, Ryan enjoys producing music, skateboarding, snowboarding, and going on adventures with friends and family. Inspired by B-corporations such as Patagonia and Etsy, Bees & Thank You co-founder and festival operations manager Nick Laorenza wishes to set an example for how companies can improve the quality of living in the communities in which they operate. He hopes to usher in a new paradigm of how businesses’ view and impact the environment. Nick grew up in Haverhill, Massachusetts and attended Central Catholic High School. This is where he became close friends with co-founder Ryan Margulis who ultimately convinced him to transfer from the University of New Haven in Connecticut to the University of Massachusetts Boston where he graduated with a B.S. in Marketing and Leadership & Organizational Change. Nick currently creates marketing content & runs social media for a local brands and he is also the CEO & co-founder of an online high-end art gallery based out of Boston, MA. In his free time, Nick focuses on traveling the world with his friends and family, as well as numerous actions sports such as skiing, snowboarding, wakeboarding, kiteboarding, and snowmobiling. Co-founder of Old lady of Good Counsel summer fun program and Community outreach manager for Bees & Thank You, Jaycob Morales has been helping out his community for last five years. In the last five years Mr. Morales has been in countless groups/ activities helping out his hometown Lawrence, MA where he has been involved in Lawrence Boys’ & Girls club as he helps young inner city kids get through obstacles in their life. From that Morales took it upon himself to join with other members of the community to run a youth program to keep kids off the streets and teaching them right from wrong. Besides running the summer program, Mr. Morales spends some his time attending public schools giving water safety shows, where he helps kids learn from his past. He is constantly helping out at shelters or passing out food to homeless and people in need. His goal in life to make the world a better place and to give back to the people who need help. He is a graduate from Central Catholic high school and is currently attending Wheaton College finishing up his last year in his economics degree. In his free time he plays chess and teaches kids how play basketball as he currently coaches several youth teams. He loves going on adventures and listening to live music.